Enjoy your next vintage in these all-purpose, fun and very fashionable stemless wine glasses. 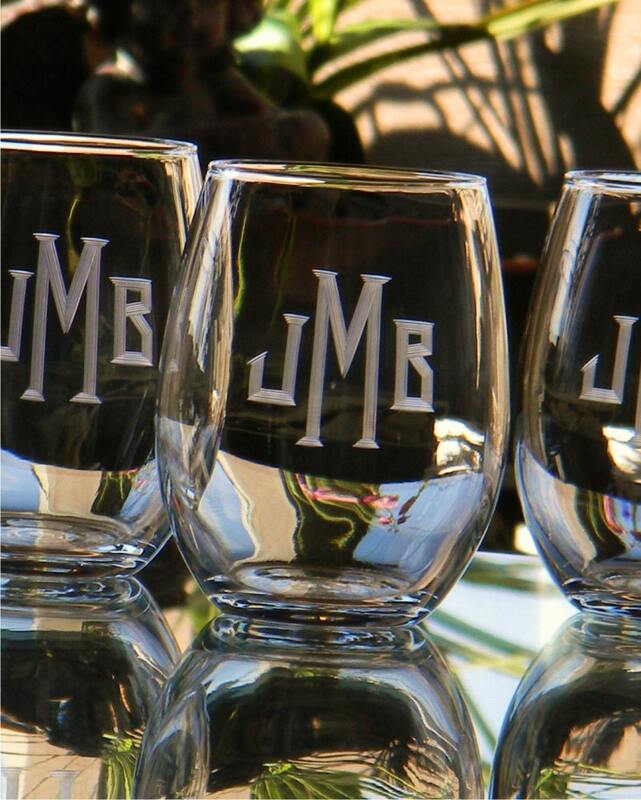 I hand-engrave each glass with a custom monogram. Makes a great personalized birthday, engagement, wedding or new home gift for anyone. A big hit for the wine lovers, but can also be used as an all-purpose tumbler! I loved this Martini glass! It was exactly, as i wanted. I didn't expect to receive this item so quickly. I would shop here again!